Ted Kritsonis, consummate freelancer and eminent tech guru, is the guy who brings his game when we need it. 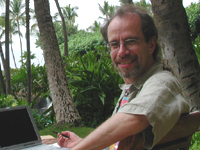 He contributes to numerous publications in Canada and the US, and formerly was editor of Macworld Canada. His passion is educating and entertaining all seeking the latest and greatest in tech. Lee Rickwood, Owner/Operator at Word On A Wire, casts the eye of an eagle over Canada’s fast-changing digital media industry. Having worked in broadcast TV, magazine publishing and digital media production, Lee Rickwood has been exposed to a lot of hardware and software over the years. He still thinks wetware is the most important technology we have, but then, he still dreams of another assignment in Hawaii. Gadjo Cardenas Sevilla began his career in media as a reporter and desk editor covering metro news, education, travel and music before focusing on lifestyle and culture. A former Mac technician for CPUsed, his interest in technology goes back to the early days of programming BASIC on an Apple IIe as well as fiddling with computer games.His work is featured in such publications as The Toronto Star, MetroNews.ca, Canoe.ca, Evergeek Media and Winnipeg Free Press among others. Dilshan Kathriarachchi is the CTO of Addictive Mobility, an award-winning North American mobile technology company. 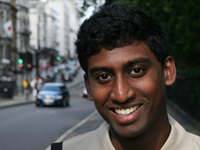 Dilshan founded Sri Lanka’s pioneering electronic commerce venture at the age of 16, and helped jumpstart nFiction.com , one of the world’s largest fan-fiction archives. He writes several international business publications. When not consumed by tech challenges, he spends his days pondering over the future of the Internet and the disruptive change it’s bringing to our society. Bill Brydon has led vivid past lives as a senior IT industry analyst and archivist, but is now a comprehensive website junkie. 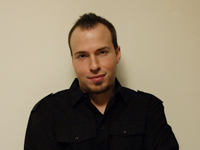 He is a graduate of the Web Development program at Humber College, and now serves on the program’s Advisory Committee. 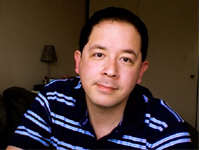 He has worked at Metronews.ca and IT World Canada, where he performed business and operational roles for the PCWorld Canada and Macworld Canada websites. 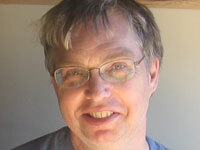 Bill helped to build WhatsYourTech.ca and is now the site’s Operations Manager. He has made sites for the Toronto XiangQi Association and the artist JoEllen Brydon. Yasmin Ranade is a tech enthusiast and founder, publisher, editor-in-chief and marketer of whatsyourtech.ca. Her vision and thirst for tech news, product innovation and channel convergence keeps her at the fore of technology-related publishing and business consulting. Prior to WhatsYourTech.ca, Yasmin was Vice President and Publisher at IT World Canada where she created the Canadian online presence of two of the world’s biggest magazine brands: PCWorld.ca and Macworldcanada.ca. Combining her marketing savvy with editorial leadership, she turned these websites into the Canadian online destination that satisfied Canadians thirst for objective, technology-related information. Ranade began her entrepreneurial Internet marketing career as National Marketing Director of Metro Toronto, the free daily newspaper, where she created and launched the online presence of Metro, www.metronews.ca (rebranded thestar.com) as part of a nationwide expansion by Torstar Corp in April 2018. Ranade spearheaded the launch of Metro newspapers in Ottawa and Vancouver. The launch of Metro newspaper in Vancouver was nominated for Marketing Magazine’s Marketing Innovation Award (MIA) in 2005. Yasmin honed her marketing skills in Canada’s Technology and Telecommunications sector contributing to the success of such giants as Digital Equipment, Compaq, Telus, and Sprint Canada. Her business and marketing acumen resulted in numerous personal and professional awards including her Sprint team winning the coveted Canadian Marketing Association’s RSVP Award in 2001. A lifelong learner and volunteer, Yasmin has had the pleasure of donating her time and talents to several tech and communication organizations. Yasmin is the former President of Wired Woman Society, Toronto Chapter, which is now part of Women in Communications and Technology (formerly Canadian Women in Communications), and established a unique mentoring program in partnership with Community MicroSkills Development Centre to help women build careers in IT. As a respected business communicator , Yasmin is also past member of IABC Canada ‘s Eastern Canada Executive Board as Director, Professional Development for 2014/2015 . Prior to this commitment, she was Chairperson of IABC’s first Canadian conference, IABC Canada Business Communicators Summit in Ottawa on November 1-3 2013, at the Chateau Laurier. Conference Keynote speakers included Minister Tony Clement, Canadian Privacy Commissioner Jennifer Stoddart, Dr Michael Geist, Canada Research Chair in Internet and E-commerce Law, U of Ottawa, Dr. Darrell Bricker, CEO, Ipsos Public Affairs and more. 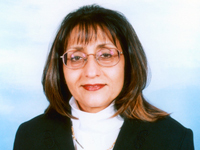 In 2008, as a board member of IABC Toronto and in her role as vice president of professional development (PD) , Yasmin and her team were acknowledged with IABC International’s Award of Excellence for 2008/2009 for delivering professional development events for the world’s largest IABC chapter. Yasmin is past board member (from July 2014 to July 2016) of Toronto Business Development Centre (TBDC), an independent non-profit, non-governmental organization dedicated to nurturing the growth of new and emerging businesses. She was also a member of the advisory board for Ember Business Exchange , a division of Toronto Business Development Centre. Ember was a business incubator for female entrepreneurs. Tired just reading about her? Try working with her. She’s unstoppable. WhatsYourTech.ca is her vision, aimed at filling the technology information gap in Canada’s online landscape. Guest Contributors Meet WhatsYourTech.ca’s expanded team – our line-up of guest contributors. These are individuals who are passionate about the use of tech tools to facilitate new means of expression, collaboration and connection.